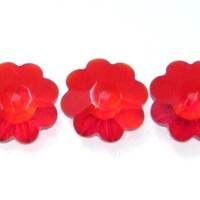 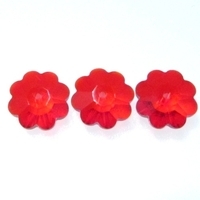 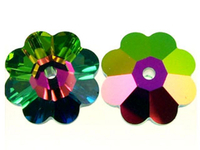 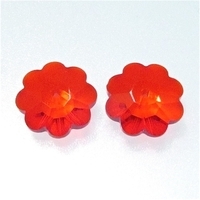 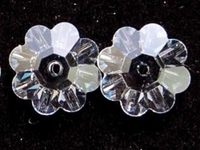 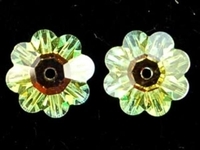 The Swarovski crystal 3700 daisy is also known as the Marguerite bead and is available in an array of colors. 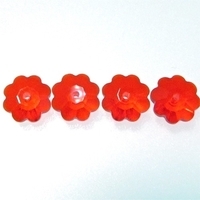 Choose from 6mm to 12mm sizes. 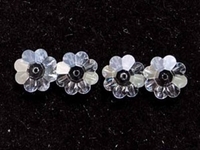 This classic bead is often stacked because of its incremental sizing, which makes it a popular component for creating holiday Christmas trees, angels, crystal balls and Easter eggs - any design that involves stacking beads to achieve a shapely effect. 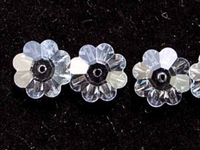 The crystal daisy also functions year round as a pretty spacer and accent bead in handmade beaded jewelry. 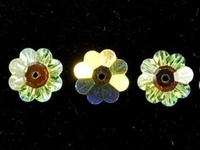 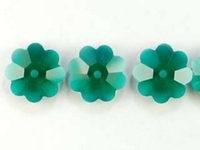 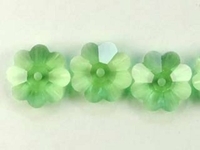 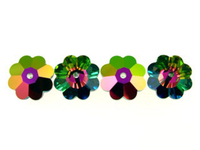 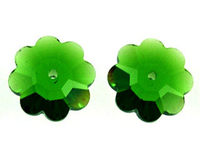 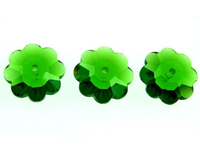 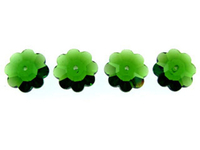 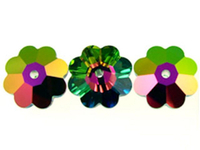 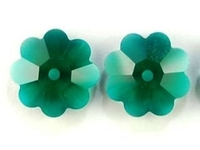 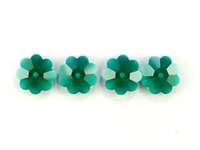 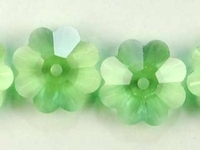 Swarovski Crystal Beads 6mm daisy (3700) erinite (blueish green) transparent On Sale!